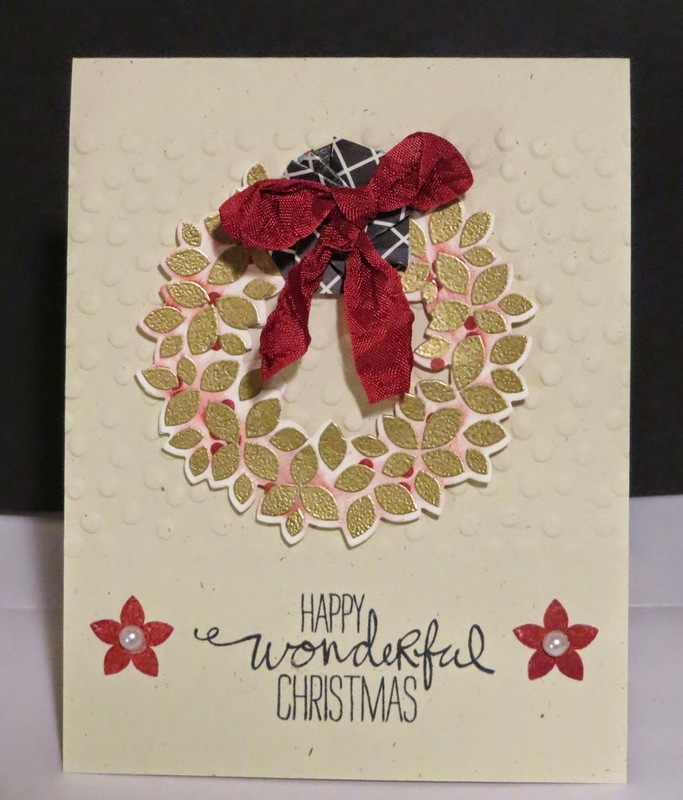 I'm changing my Stamp it Three Ways card challenge to Stamp it My way! 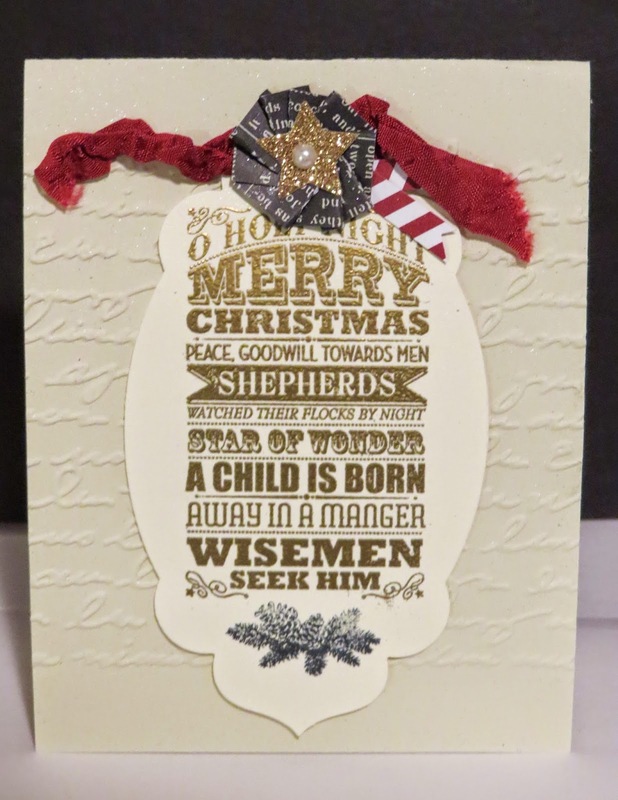 I'll show you the swap that inspired the challenge and you make a card using the same card stock pieces. Post it to my Karina's Kreations facebook page to be entered into a draw to win a prize. Anyone recognize it? It was made by Shelli & Sara Gardiner. I got it from a Founder's Circle retreat last year. It's not as cute and I really wanted to mat my wreath on Basic Black card stock but I thought I would follow the rules of the challenge.Oops I forgot the gold glimmer paper. Labels: Stamp it My Way!